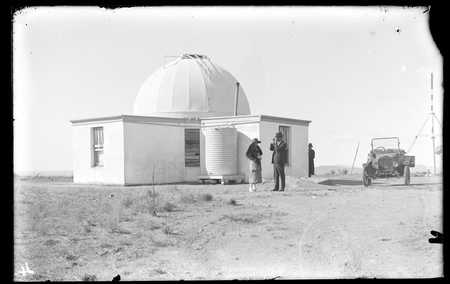 Oddie Telescope dome on Mount Stromlo looking north-east. Building housing telescope erected 1908-1910. Barrachi, Victorian Government Astronomer visited each 6 weeks to conduct observations and report to the British Association on the suitability of Mount Stromlo as a site for a solar observatory.